Eagle EZ Outdoor Putting Green Kits will save you $600 - $1,800 over others and we back that up with our best product, service and price guarantee. 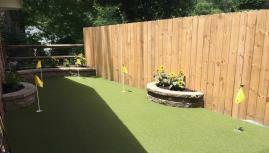 Artificial putting green and synthetic turf for residential and commercial. 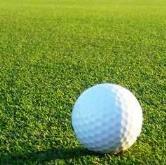 Turf Avenue has developed key relationships in the artificial turf and putting green industry for years now. Our advanced products are found in PGA training facilities, government projects, retirement communities, assisted living facilities and in backyards for the avid and the pro golfer throughout the United States. Outdoor Putting Green Kits that fit the space you desire at wholesale direct pricing. • Free design help that is customize to fit your actual needs. 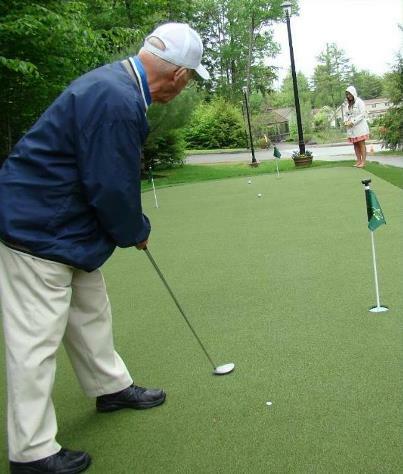 • Putting Green kit that can be adjusted to fit the space you have. • Build your kit by picking from three putting surfaces and two fringes. • Work with your personal tech support team member (not an order taker). • Be provided a support members cell phone number so you can text or call. Do-it-yourselfers (DIY) is a big part of our business. Because we focus in on the quality of the overall installation procedures we can assure the do-it-yourselfer that prior to, during and after the sale we will be there for them. LifeLike Turf is a premium cut above other artificial turfs. 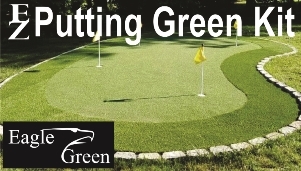 Transforming the space that you have chosen to put your new backyard putting green in can be accomplished in a matter of a few days by using the Eagle putting green system. We have developed a system that utilizes the space as well as brings quality to the avid and professional golfer at a cost that fits most budgets. Your new backyard putting green oasis will be a tool to help take strokes off your game as well as provide a great place to entertain family and friends with the game of golf. * * * Note: We do our best to have ample stock in all our warehouse locations throughout the United States. On occasion we will be out of stock on one or more products in one or more warehouses. If this occurs the customer will have the option for a full refund or wait for that warehouse to be restocked or pay the freight charges. Again this situation is rare and we apologize in advance for any inconvenience and thank you again for choosing LifeLike Turf as your quality artificial turf provider. Customer service and advanced products has made us the most well-known and trusted wholesale putting greens and turf suppliers in the industry. We are fast becoming an artificial putting green leader in advanced PGA golf training facilities. Our products are the result of years of R&D which in return provides you with the most advanced turf technology with a eco-friendly solution. What Makes The Product: It's important to not overlook the face weight, yarn denier, quality of yarn, pull out strength, proper pull-down, product backings and UV blockers that are all factures in building a superior golf practice and artificial turf products. 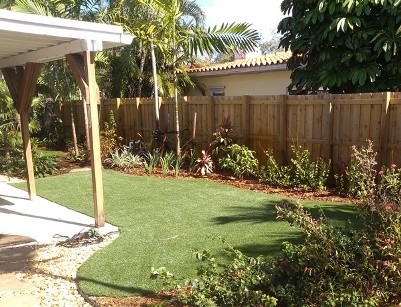 Turf Avenue (Managed by Lifelike Turf) is committed to helping our customers get what they paid for, plus we guarantee that you will be saving substantially in more ways than one!